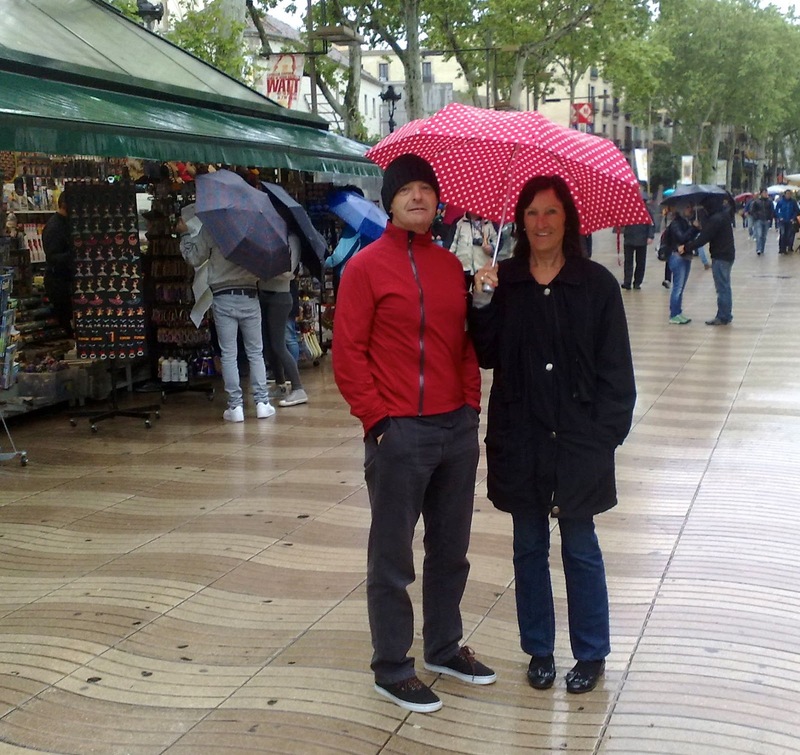 On the Ramblas in Barcelona it's raining, a lot. 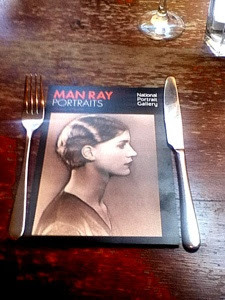 ManRay exhibition at the National Portrait Gallery, London. 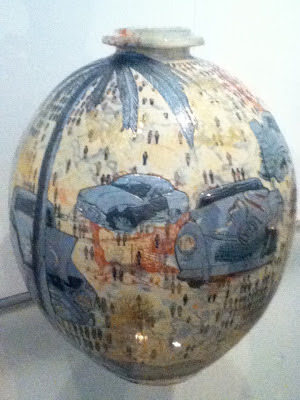 At the Stedelikj Museum Amsterdam, Grayson Perry Pot, our Kettle and the Queen. 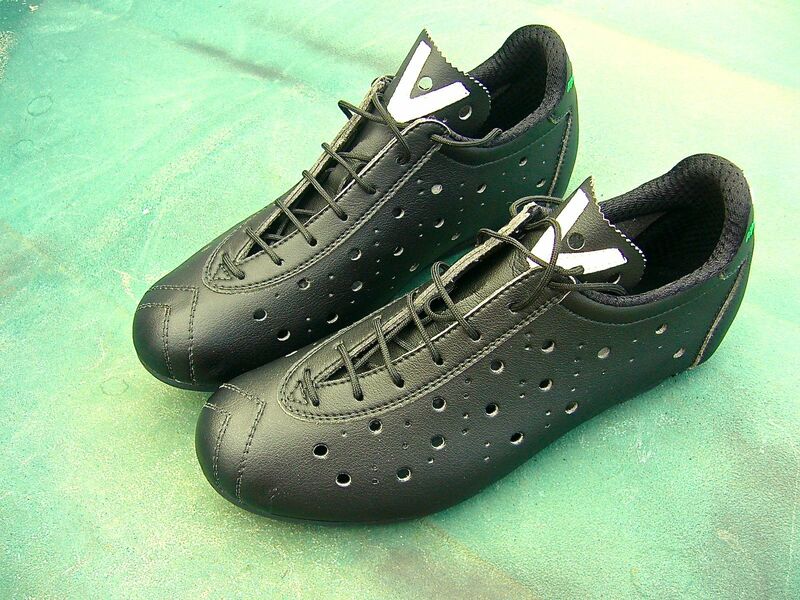 Just arrived, Vittoria 1976 cycling shoes - they're SPD compatible! 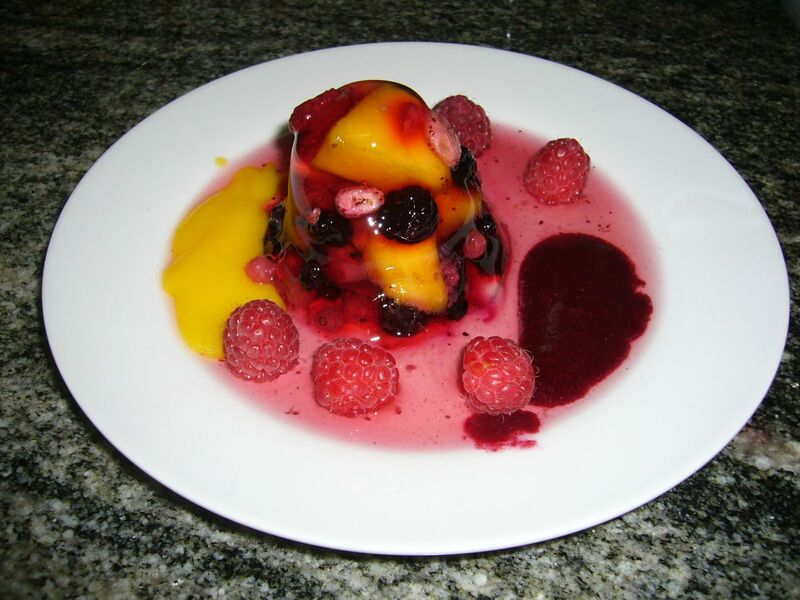 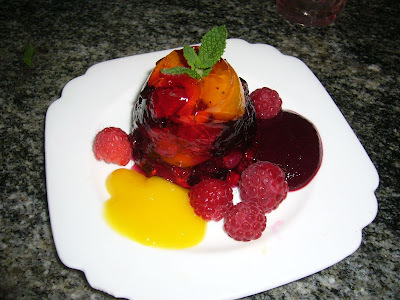 I just made this Red Fruit and Mango in Pink Champagne Jelly dessert together with a Red Fruit Coulis and a Mango Coulis. Had some problems de-moulding it so it doesn't look as good as it tastes. Will try again . 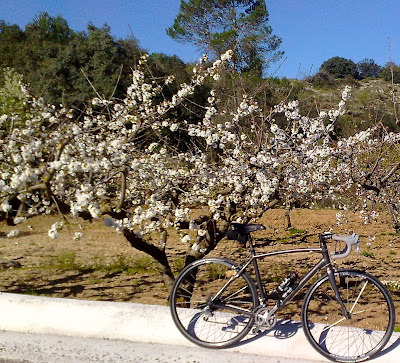 . . . . . .
Three and a half hour bike ride down some little lanes and up some very steep hills. 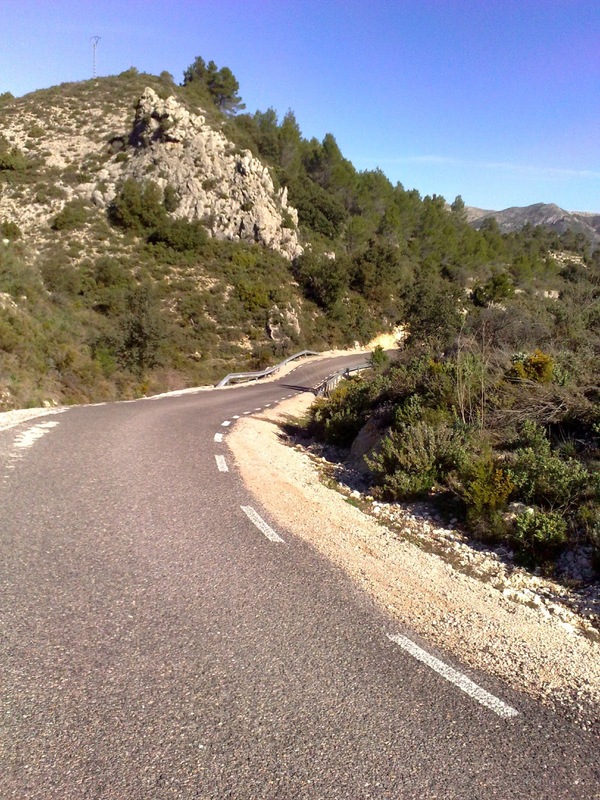 One on the way to Tollos, about 6km long, had a series of ramps, at least 20%, probably more, anyway v steep (although it doesn't look it in the pic). 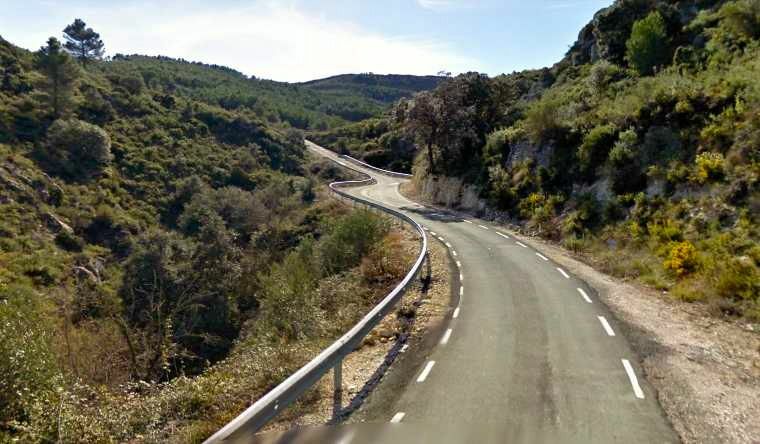 pic from Google Streetview on the way to Beniaia. 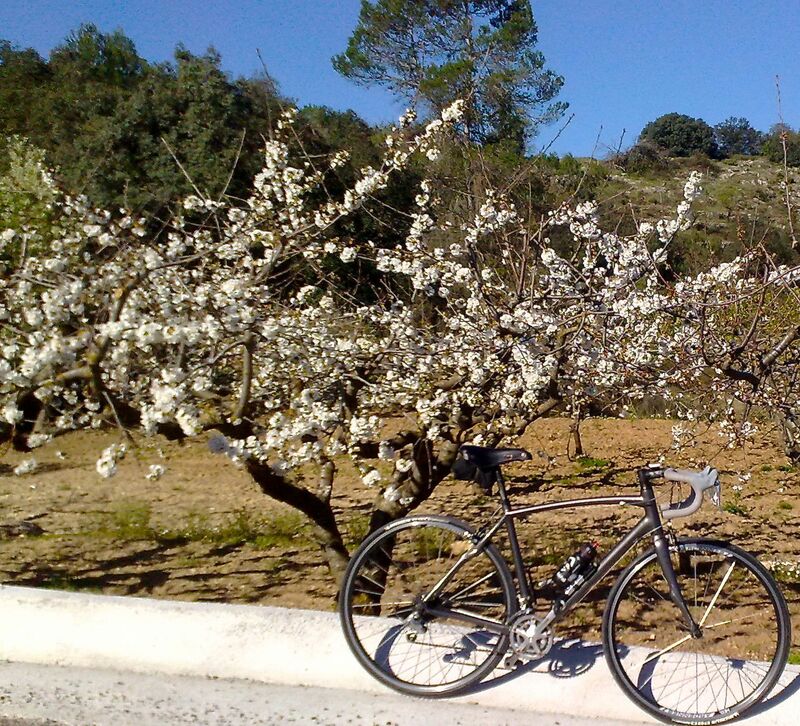 Last month Almond blossom, this month Cherry. 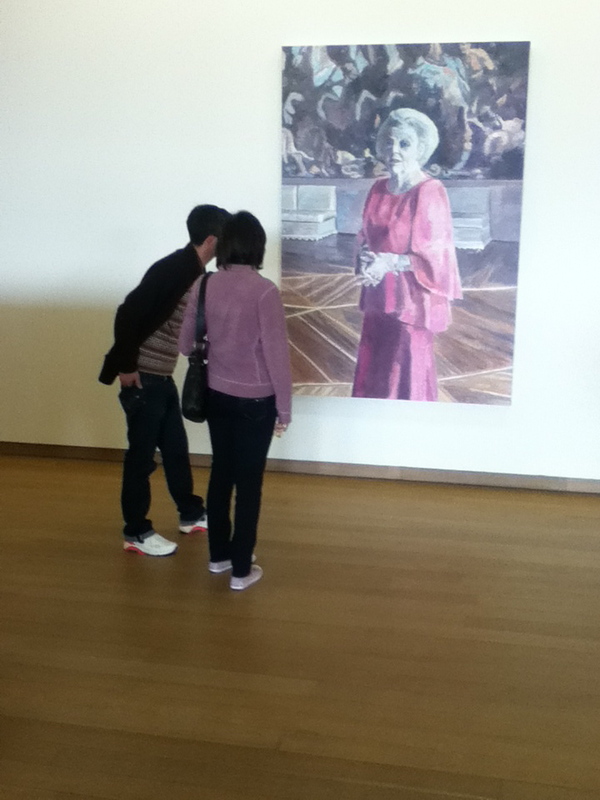 I just put his theory to the test.